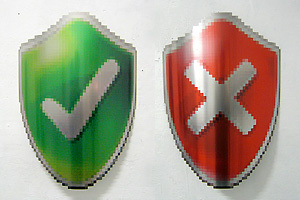 Defence is a selection of aluminium shields extracted from the interface of Windows Vista. They can be used in sword fight or similar combat. Defence are overall five shields from the graphical user interface of Windows Vista. 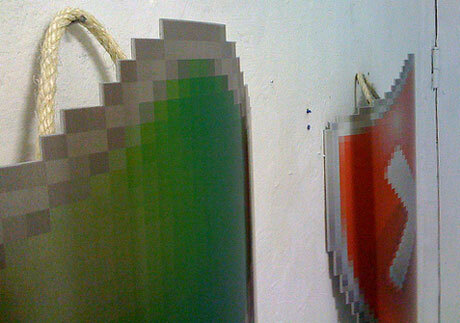 They are 50 by 42 cm in size and their precise pixel outline was water-cut. On the back they have a grasp so that they can be used in sword fight or similar combat. This is the first part of the Defence Project which deals with the numerous promises of perfect security. User Account Control (UAC) from Windows is only one example for Security by Design. Eagerly like a young boy scout Windows assures itself if its user is aware of what he or she is doing. This constant making of queries does not make Windows a safer system, but it was meant to add to the user’s feeling of safety (and being cared of). In real space the perception of the shields changes, of course. Neither in medieval times there was an User Account Control, nor there is today. 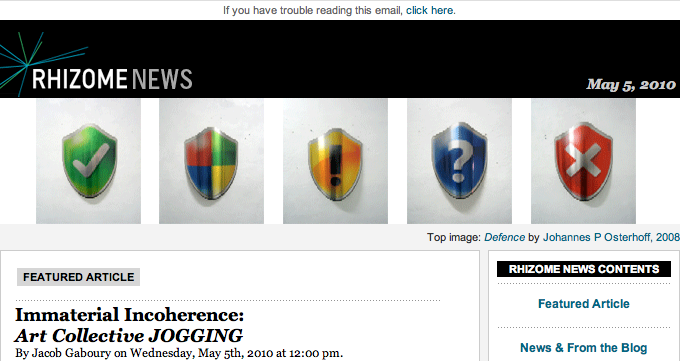 Defence is in Rhizome ArtBase and was exhibited at the galley of Art Bussines Consulting Group in ArtStrelka, Moscow (2008) and in Platoon Kunsthalle in Seoul (2010). In the gallery of Art Business Consulting Group in Moscow. See more images on Flickr. Mi Sun decided that Defence should have more traces of battle after a one year break. 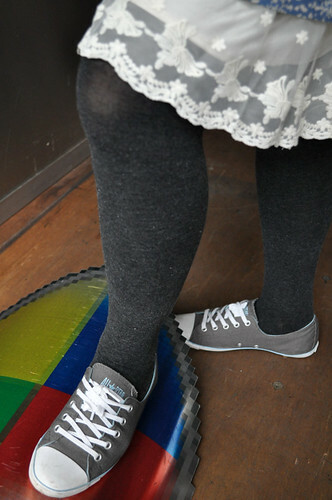 More images from the show at Platoon Kunsthalle on Flickr.